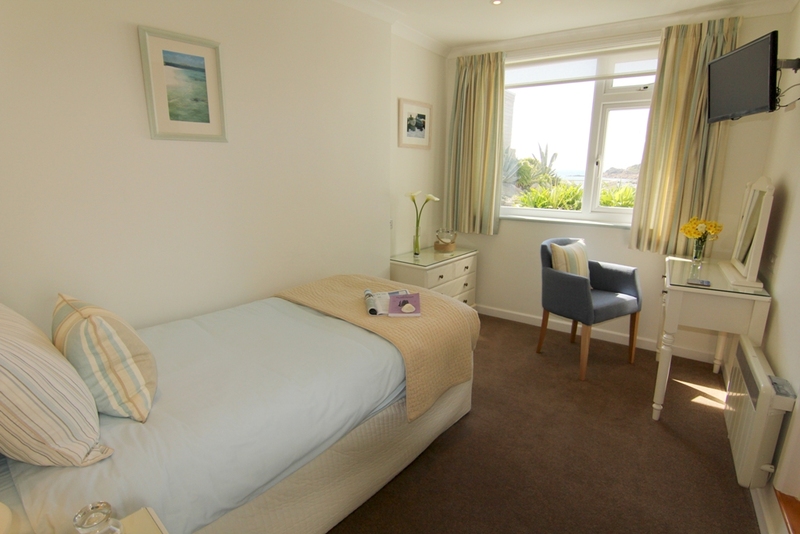 Cosy Room 8 is a light and bright single located on the ground floor. Relax in the 4-foot wide small double bed and enjoy the lovely view of the sea out towards Porthcressa Bay and Morning Point. There is one step up from the bedroom into the en-suite shower room.